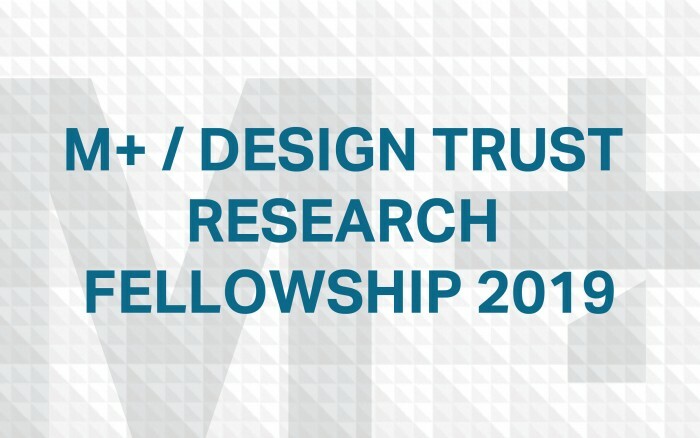 Applications are invited for M+ / Design Trust Research Fellowship offered by M+ and Design Trust. The successful applicants will be attached to M+ for three to six months in 2019, conducting independent research, preferably on a full-time basis. West Kowloon Cultural District Authority vision is to build a vibrant cultural quarter for Hong Kong, dedicated to bringing local and international artists together with audiences to be inspired by and to celebrate the arts. Study Subject: Two separate fellowships will be awarded. One fellowship will support a research project focused on Hong Kong and the Pearl River Delta region in an Asian or global context, and the second fellowship will support a research project related to Asia more broadly, closely in line with the curatorial position of the Hong Kong-based institution M+. Scholarship Award: The M+ / Design Trust Research Fellow will receive a lump-sum stipend of up to 40,000 Hong Kong dollars per month for three to six months (determined on a case-by-case basis) to cover living, insurance, and research-related costs. An overseas fellow may request a one-time travel subsidy of up to 10,000 Hong Kong dollars, covering transportation between the place of origin and Hong Kong. Number of Scholarships: Two separate fellowships will be awarded. Applications are welcome from individuals of all nationalities whose areas of research are in design, architecture, or a related field. The provision of the fellowship, however, depends on whether the fellow can obtain a visa for Hong Kong. Applicants should either hold a postgraduate degree in a relevant discipline or an undergraduate degree with a minimum of three years of relevant professional work or academic research experience. Proficiency in spoken and written English is also required. The deadline for submitting the application is 13 August 2018.